PreserveList, started by Preservation Maryland, was created to connect property owners with service providers that understand historic buildings. 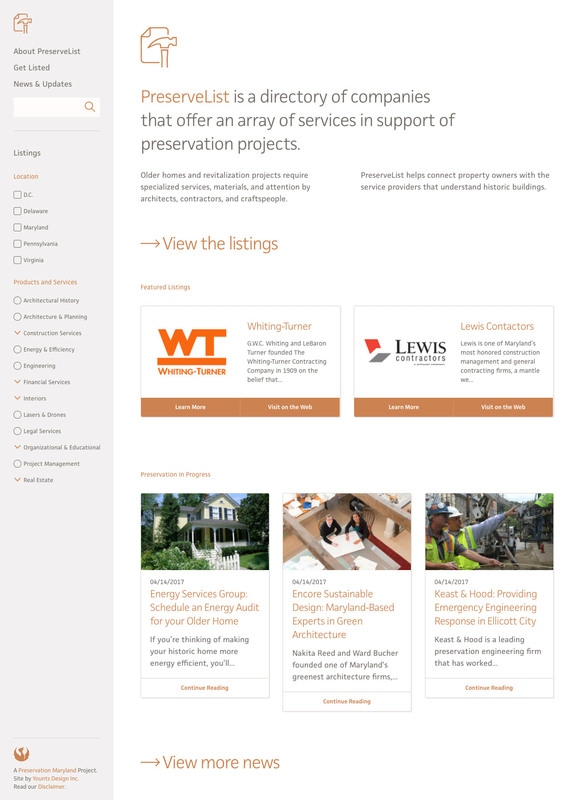 Functioning as a directory for contractors primarily in the tri-state area, PreserveList is the go-to web resource for those looking for help with their preservation projects. 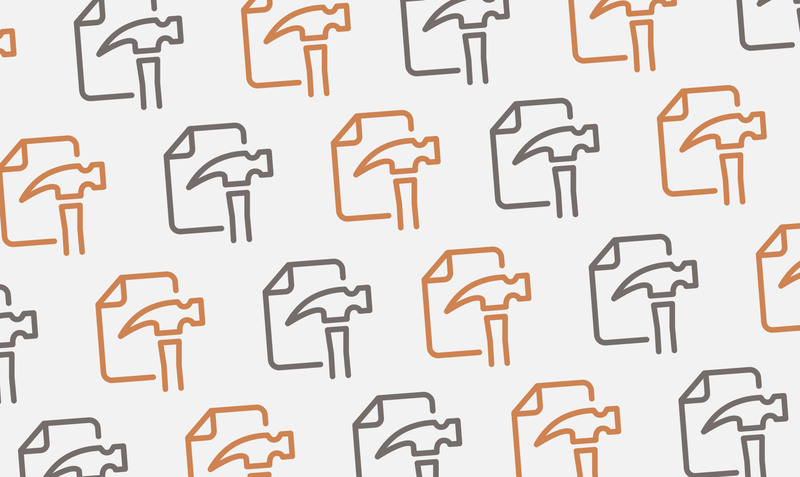 Preservation Maryland reached out to YDI to help brand and create their ‘preservation contractor directory.’ After a quick naming exercise, YDI came up with ‘PreserveList,’ matching the core components of the project. 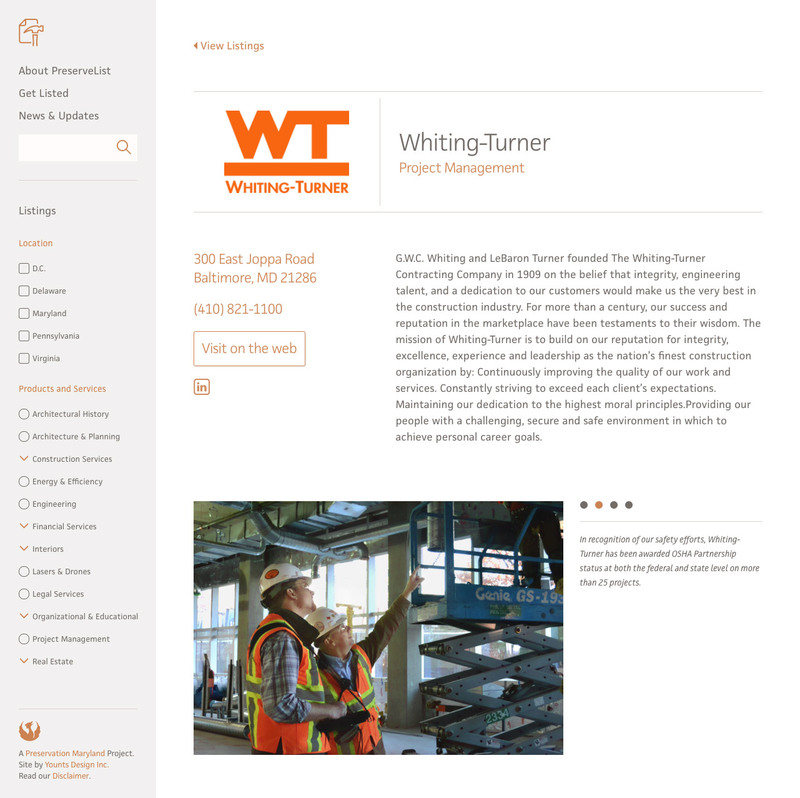 The branding is minimal, using only two colors and one typeface, so as to let the information speak for itself. The PreserveList website is primarily focused on utility. The navigation allows users to quickly filter down services and locations based on needs, and the design remains minimal for a more direct view of the content. PreserveList runs on WordPress and is robust in it’s ability to quickly create and edit the contractors by the client.